You run plays. Plays are run on you. Here’s how. Supporting the Taxonomy of Influence Plays are two hand-in-glove methodologies that explain how plays are conceived, introduced and managed in realtime for competitive and collaborative advantage. Ideal for simulations and wargames, they help you hone your strategy, fashion it into set plays, apply those plays to a setting or circumstance, listen and gauge reaction, make another move, leave the scene, or keep managing it. It’s all part of the process we call play action. 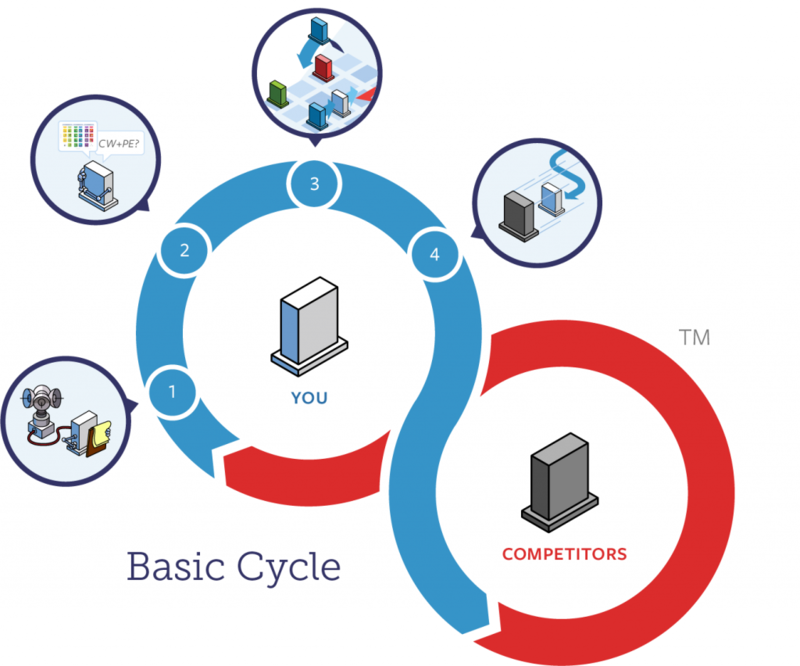 Basic Cycle This is a two-player model that illustrates the ongoing evaluation, planning, simulation and execution of influence strategies between you (the focal plays) and your competitors — a continuous cycle of positioning, re-positioning and de-positioning. 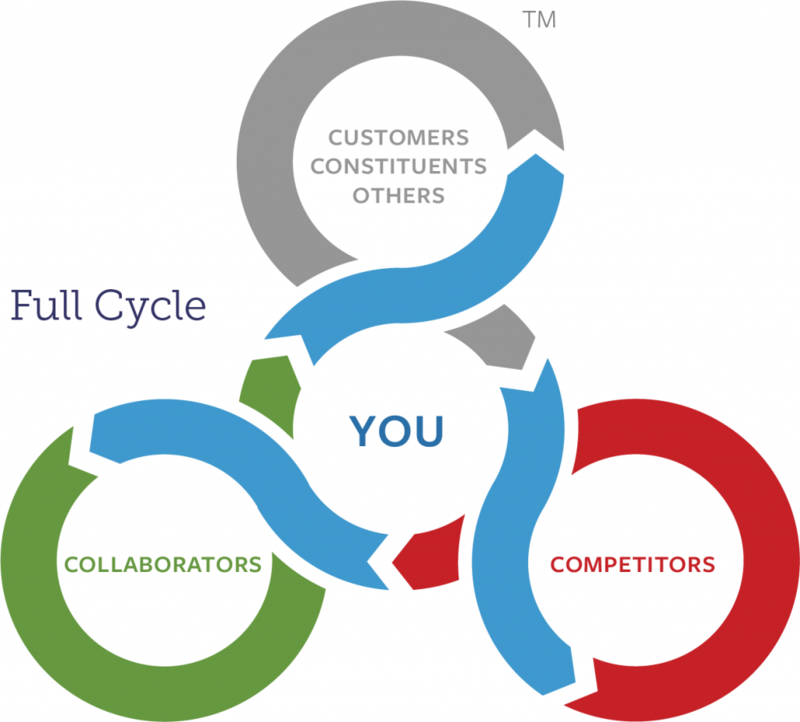 Full Cycle This multiplayer full cycle, a superset of the basic cycle above, adds customers, constituents and collaborators to animate the complex and repeating exchange of influence strategies for mutual and competitive advantage. For a free printable copy of the Playmaker Cycles of Influence, please tap here.